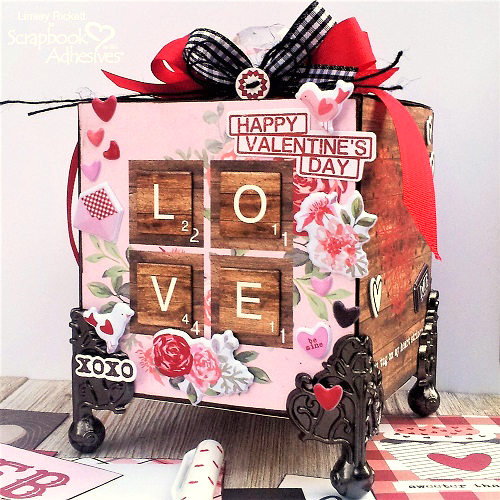 Valentine’s Day is right around the corner and my Love Note Box is sure to give you all the heart eyes! 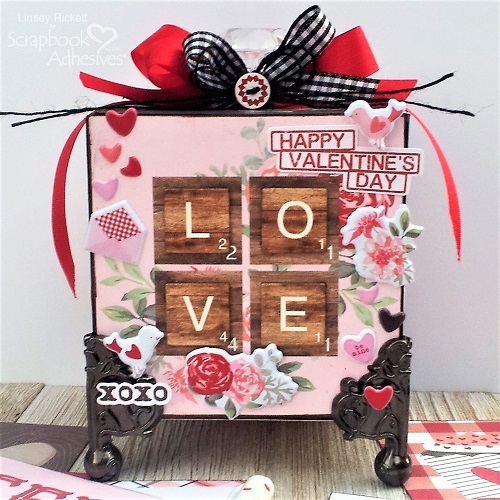 Hi friends, Linsey here today sharing this fun and family-friendly Valentine’s project that will have everyone in the house spreading the L.O.V.E. 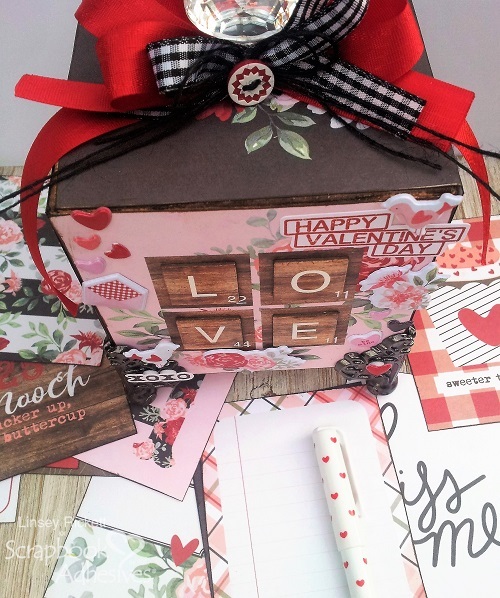 Start with a 4 x 4 x 4″ square cardboard box and cover all sides with Valentine’s themed patterned paper using E-Z Runner® Ultra Strong Refillable Dispenser. 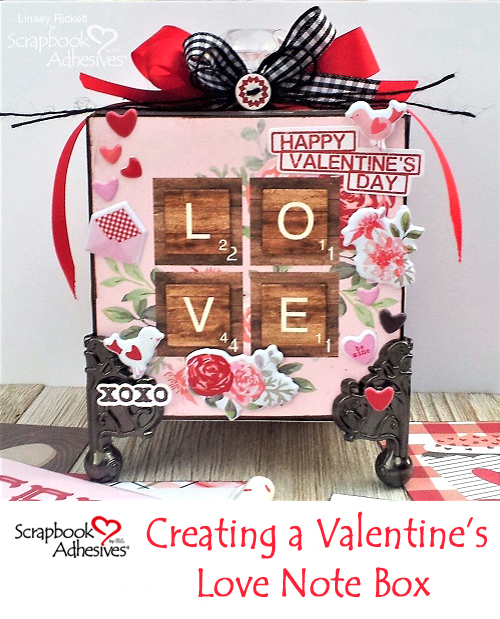 This adhesive is the best for paper construction like this project. 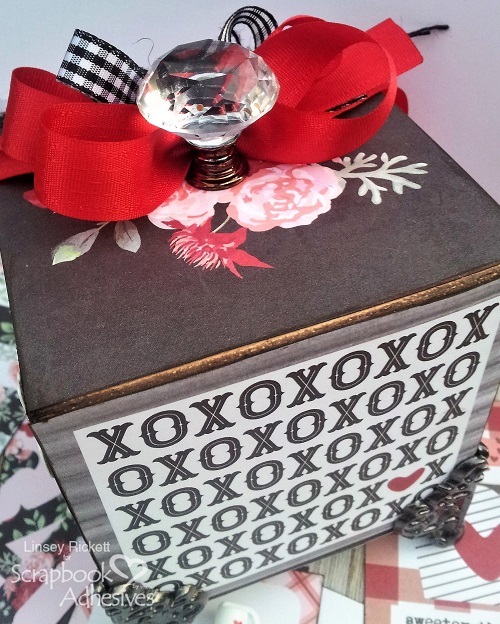 I always use it on my altered and home décor creations and have never been disappointed! Decorate the sides with chipboard and puffy stickers. Note that I used 3D Foam Circles White Mix on the back of a few stickers for added dimension and interest. For the metal feet and crystalline knob were added with Dual Tip Glue Pen and it held beautifully! Make sure to allow full dry time. Mine dried for 24 hours before continuing, and you’ll be impressed at how well this liquid glue works! The feet are super steady and the knob is holding strong, even with it being used daily to open and close the top of the box. And that’s all for me! Thanks so much for stopping by. 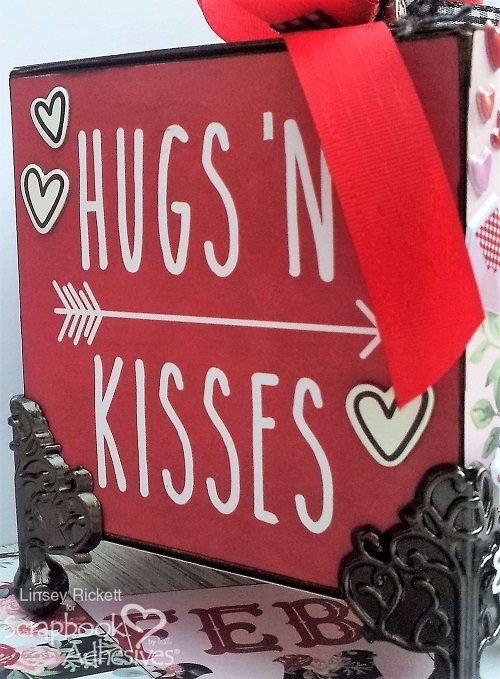 I hope you’ve been inspired to make one for your home. Happy crafting! This entry was posted in 3D Foam Circles, 3D Projects, Adhesives, Altered Art, Crafts & Tutorials, E-Z Runner® Dispensers, Gifts, Home Decor, HomeHobby by 3L, Intermediate, Other Adhesives, Permanent Adhesive, Seasonal Craft Ideas, Skill Level, Winter and tagged 3D Foam Circles White Mix, Dual Tip Glue Pen, E-Z Runner Ultra Refill, E-Z Runner Ultra Refillable, Gift, Gift Box, Graphic 45, Home Decor, HomeHobby by 3L, Linsey Rickett, Valentine's Day. Bookmark the permalink.